A man has appeared in court charged with the willful obstruction of a highway after he allegedly spent a night on top of a tanker on Preston New Road. John Knox, 37, of Douglas Avenue, Blackpool pleaded not guilty to the charge at a hearing at Blackpool Magistrates Court on Tuesday, November 7. He was also charged with breaching his bail conditions. 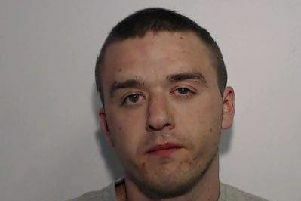 He has been bailed to appear at Blackpool Magistrates Court on March 9 and is not allowed to enter Preston New Road between Maple Farm and Westby Road.